Inhabit Portland — Relevant Studios | A Branding, Packaging & Website Design Company | Portland Ore. 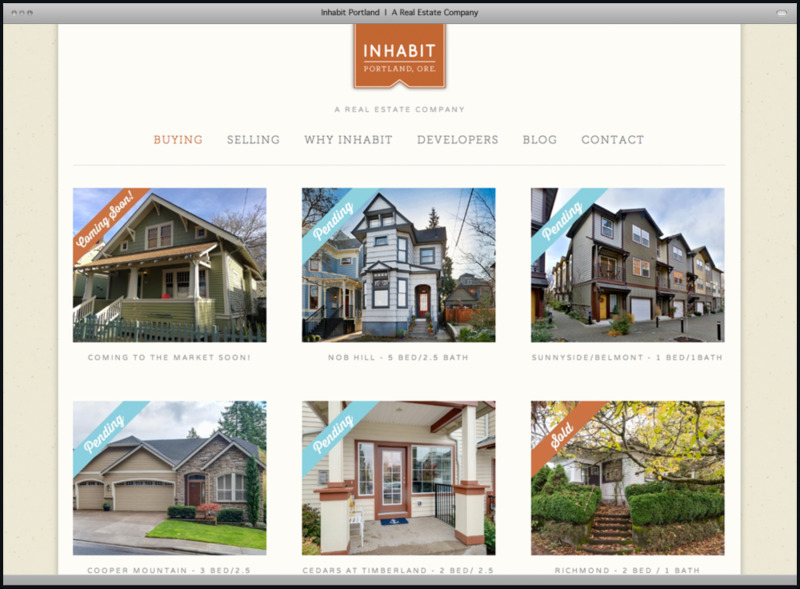 CHALLENGE - A Portland realtor came to us with a vision to enhance his image and develop his brand identity and website. Portland is springing up with many new smaller realty brands and the challenge was to differentiate Eric and his team in a way that would be true to his vision for an authentic Portland brand. ACTION - e helped develop a brand starting with the new name, Inhabit, that is down-to-earth and truly Portland. The friendly identity and evocative visuals help communicate the nature of the straight-forward company and its forward-thinking approach.